Mission Indradhanush has been launched by the Health & Family Welfare Ministry. Also vaccine to guard against Japanese Encephalitis (caused by flavavirus) and Haemophilus influenza type B (caused by Haemophilus influenzae B bacteria) will be provided in selected districts. The Mission was launched on Good Governance Day to mark the birth anniversary of Bharat Ratna Madan Mohan Malaviya and the birthday of Bharat Ratna Atal Bihari Vajpayee. 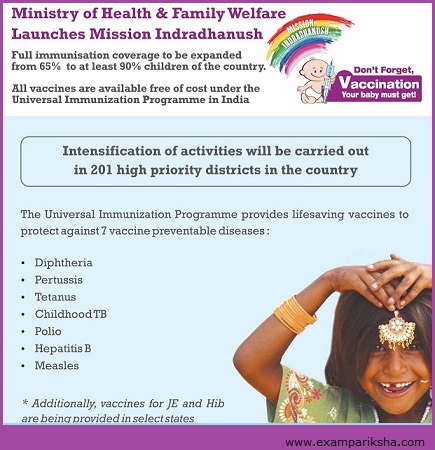 Mission Indradhanush aims to achieve 90% immunasation of children by 2020. The Mission launched by Helath Miniter J P Nadda is to be implemented in 201 high focus districts in the first phase, where nearly 50% of all unvaccinated or partially vaccinated children reside. 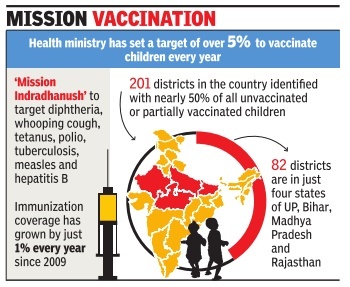 Out of these 201 districts, 82 districts are located in just four states of Uttar Pradesh, Bihar, Madhya Pradesh and Rajasthan, having nearly 25% of all the unvaccinated or partially vaccinated children of India. This is a focused and systematic immunization drive to be implemented through a “catch-up” campaign mode. The aim of the ‘catch-up’ mode is to cover all the children who have been left out for immunization. These 201 districts will be targeted by intensive efforts to improve their routine immunization coverage. 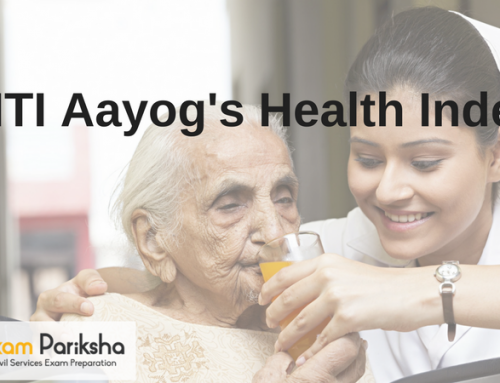 This campaign is a part of the Universal Immunisation Programme by 2020. 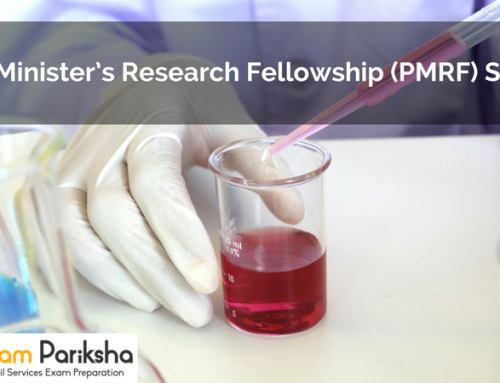 It is being implemented under the National Health Mission (NHM) across the country. It has been admitted by the Health ministry that between the years 2009-2013, the immunization coverage has increased from 61% to 65%. This indicates that only 1% increase in coverage every year has taken place across the country. Therefore, in order to accelerate the process of immunization, the target of covering 5% and more children every year has been set, and the Mission Mode has been adopted to achieve the target of full immunasization coverage by 2020. 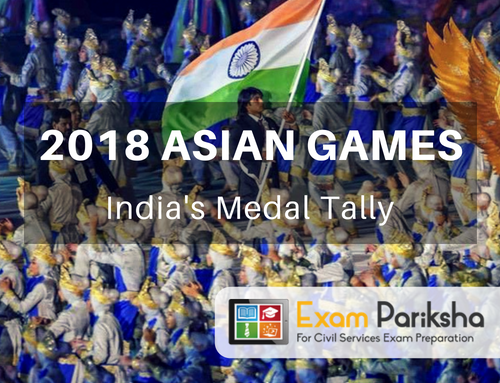 Under the Mission Indradhanush, four special vaccination campaigns are scheduled to be conducted between the month of January and June 2015 with intensive planning and monitoring for these campaigns. The Health and Familiy Welfare Ministry will be technically supported by WHO, UNICEF, Rotary International along with other donor partners in implementation of the Mission Indradhanush.